Perfect Storm Apartment — Green Anvil Co. 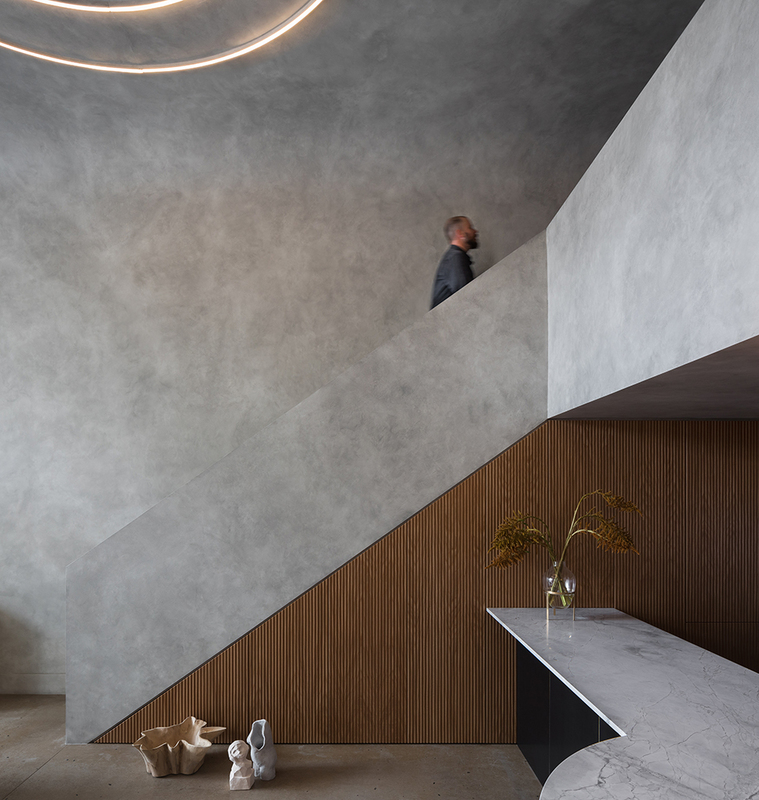 The design brief was a one-line request – to create a Modern, Brutalist ‘concrete bunker’. Custom fabrication and installation of ‘invisible’ curved plaster cornice to double-height ceiling designed to give a seamless transition between walls & ceiling. LED ‘Halo’ light and the design & construction of steel shower screen featuring ‘arched’ doorway with concealed magnet handle. Design, construction and install of cedar battened screen to courtyard.